Photo courtesy of Elmwood Motion Picture Company. Once dismissed as a superficial hipster- and neo-hippie-fueled trend, urban gardening has exploded into a full-blown movement, thanks to locals passionate about creating greener, healthier and more sustainable food-producing communities. In the vein of The Grand Tour, the Renaissance-era rite of passage by three young Englishmen who made a culture-seeking jaunt across the Continental Europe, independent filmmakers Dan Susman and Andrew Monbouquette embarked on an eye-opening cross-country trip in search of farmers, food and the roots of city-based agriculture. 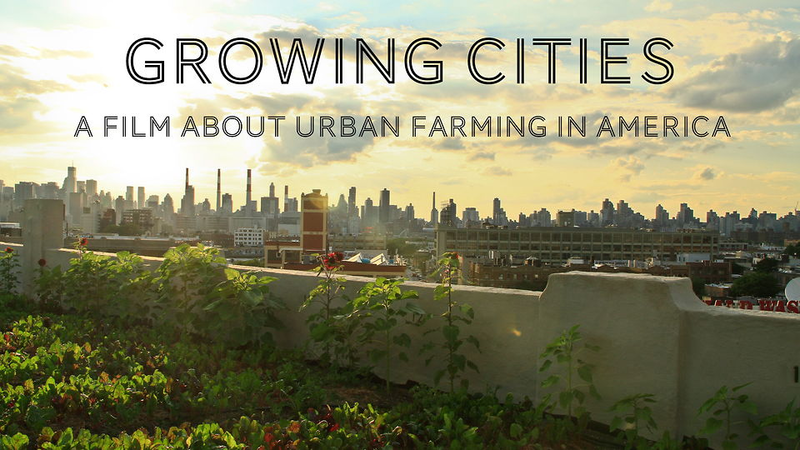 The result: Growing Cities, a feature-length documentary that takes viewers into the innovative world of urban farms. Susman, who grew up in gardening with his parents in Omaha, Neb., and later worked on a small farm in Venezuela, developed an interest in urban farming while volunteering at Zenger Farm in Portland, Ore., where he realized that most city dwellers were not as in touch with their food as people in his Heartland home, where growing things is a way of life. After graduating from Dartmouth College and returning to Nebraska, Susman grew curious about the urban farming efforts cropping up around the country—and their potential to revitalize cities and change people’s eating habits for the better. He and his childhood friend, Andrew Monbouquette, hit the road, ultimately visiting more than 80 urban farms in cities including New York, Los Angeles, Atlanta, Detroit, Seattle and New Orleans, among others. Following a successful Kickstarter fundraising campaign to have the film produced, Growing Cities eventually came to life to rave reviews. A screening is coming up next week at the Food for Real Film Festival in Liverpool, England, and another in January at the environmental activist-run Wild and Scenic Film Fest in Nevada City, Calif. Afterward, the film be shown in communities nationwide before being released on DVD. Learn more at growingcitiesmovie.com. “Now Showing” is devoted to news, reviews and clips of outdoor-heavy and garden-rich films, TV series, live performances, exhibits, tours and other events. This entry was posted in Documentaries, Movies, Uncategorized, Urban Farming, Urban Garden and tagged Andrew Monbouquette, Atlanta, Dan Susman, Detroit, growing cities, Los Alngeles, New Orleans, New York, Seattle, urban farming, urban farms, urban gardening, urban gardens. Bookmark the permalink.